That helped launch his career as a professional crewman at the early age of 16. Captain Ray Rosher is an offshore- and bottom-fishing specialist who runs the 34-foot charter boat Miss Britt out of Coconut Grove, Florida. 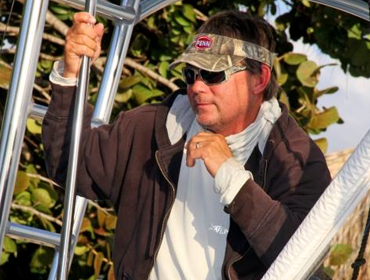 He has 26 first place finishes in sailfish, marlin or swordfish tournaments as well as 5 tournament series titles. In Ray’s words, “I’ have been fortunate to have a job that I love. I enjoy every day that I get to go fishing on my boats. I’ve also participated as an angler, crewman or sometimes even a customer on several other boats. All these experiences have shaped my business philosophy that a hardworking, courteous captain as well as a properly equipped and well maintained boat are essential elements in the charter business.